Sand Dollar Condominiums - Möbliert Oceanside Condo! Vollständig möbliert, NICHTRAUCHER Wohnung mit Kingsize-Bett im Schlafzimmer, zwei Einzelbetten im Gästezimmer, und ausziehbarem Queen-Size-Schlafsofa im Wohnbereich. Das Wohnzimmer verfügt über einen Essbereich und Frühstücksbar. Südseite Balkon mit Blick auf Pool und einen schönen Daytona Beach Shores. Einfache Aufzug und Treppe Zugang zum zweiten Stock Wohnung mit Sicherheitsüberwachung für Parkhaus, Eingänge, und die umliegenden Immobilien. Innerhalb von zwei Stunden Fahrt zu vielen anderen Florida Attraktionen wie Disney World, Legoland, Universal Studios und Sea World in Orlando; Kennedy Space Center in Titusville; und der historische Augustinus. Fünf Meilen südlich von Daytona Beach, neu renovierten Promenade. Great rental experience owner made it easy and gave all the information needed. Property was quiet and secure had everything we needed in all the right places and the people were friendly. Garage parking was a bonus. 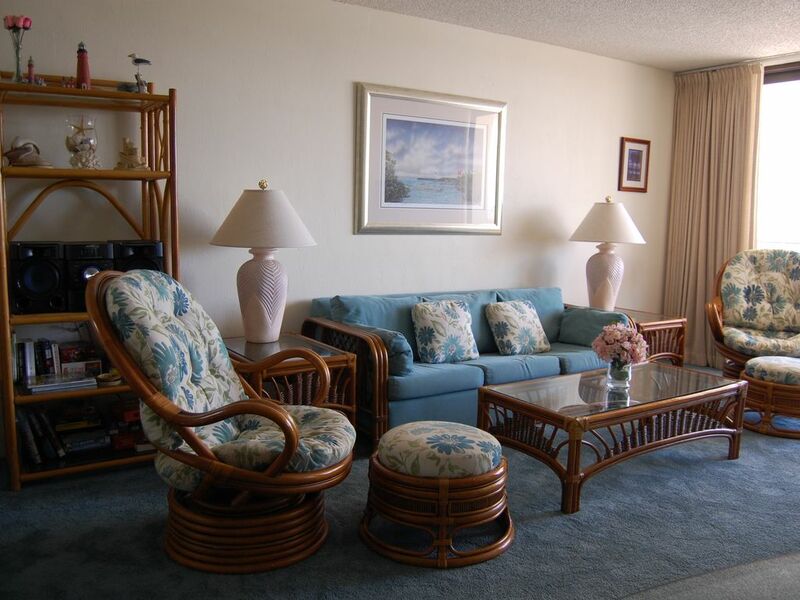 Awesome condo in Daytona Beach Shores. Our stay in October 2018 was fantastic in this condo. Everything is present in the house, a complete kitchen, dishwasher, washing machine, dryer. Car can be in the garage. The condo is nicely furnished, a lovely terrace with sea view. Shops and restaurants even within walking distance. Large bedrooms with comfortable beds with nice bathrooms. Fine pool on the beach with jacuzzi. A small flaw is the beds in the 2nd bedroom, the beds are not really suitable for tall people. They are not very long! But the next time we go back to Florida, we will definitely stay in this condo again !! René, Thank you for the excellent review. You were a great guest. Please visit us again. Cathie was very bv easy to deal with. Super clean, nicely furnished unit with ocean view. Small problems taken care of in record time after contacting the very helpful and caring owners. Our stay was very enjoyable and we will be returning again in the future. You were a great guest and I enjoyed working with you. Please come again to our spot at the beach. The city motto is true -- "Life IS better in Daytona"
We were a group of 5 middle-aged women who love to golf and this condo suited us very well. Plenty of room, great views of the ocean, excellent pool & hot tub. Walking the beach was wonderful! Plenty of golf courses to choose from & our location was ideal. Had one issue with the A/C, but the owner responded promptly & professionally to resolve the issue. Would recommend this condo to anyone! Daytona International Speedway. 1. 5 Stunden von Orlando Flughafen und Themenparks. Cape Canaveral und Kennedy Space Center etwa 1. 5 Stunden. Historisches St. Augustine 1. 5 Stunden. Cleaning fees are included in the rental fee. Minimum 7 days stay.